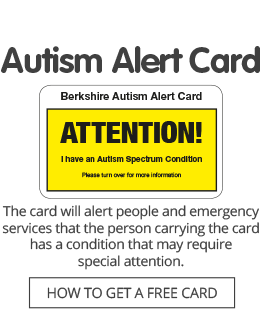 Parents and carers living in the Borough of Slough can now register for free places at a series of autism training workshops taking place over the next two months. We are offering more Autism Seminars for Families courses, developed by the National Autistic Society; a workshop on Emotional Self-Regulation focusing on ways to help autistic children and young people learn techniques to manage their emotions. There will also be a support group meeting, offering a chance to chat with other parents and carers and our support worker, which will also include a short presentation about Emotional Self-Regulation. They will all take place at The Curve library and cultural hub, in William Street, in Slough town centre. Managing Anger: Friday, March 15, and Friday, April 5. Looking at sensory systems and how they work, how autistic people may process sensory information differently, how autistic children may have different sensory experiences, and strategies to help with sensory needs. The Emotional Self-Regulation workshop will take place on Friday, February 15. Looking at issues around emotions and approaches that can help, including using visual supports such as The Incredible 5 Point Scale and comic strip conversations. These help children to understand social interactions and control their emotional responses to different situations and to manage anxiety when they become stressed. All these workshops will run from 9.30am to 2.30pm. Tea and coffee will be provided but please bring a packed lunch. The Slough Support Group meetings will be held on Friday, March 22, from noon to 2.30pm. It is free of charge and there is no need to book, just come along. Click here for full details of the workshops and to register for free places online. Click here for details of support group meetings. These services are funded by an NHS Partnership Development Fund grant from the East Berkshire NHS Clinical Commissioning Group.